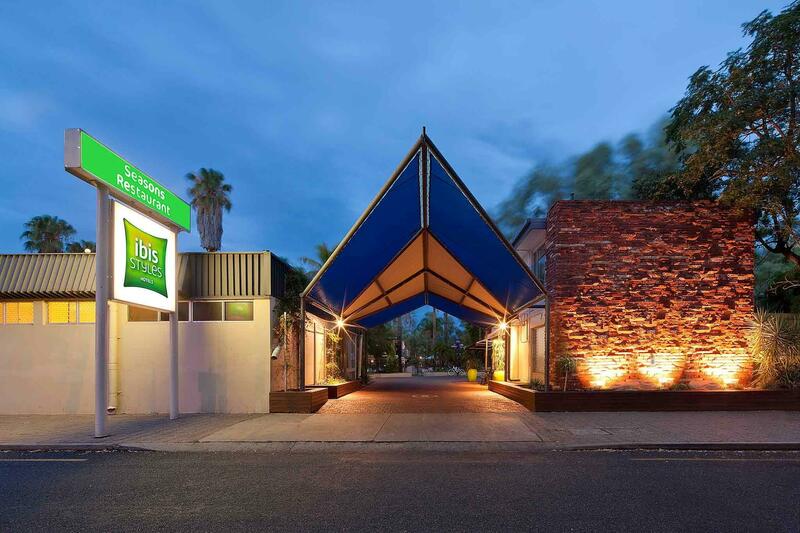 إن فندق Hotel ibis Styles Alice Springs Oasis بموقعه الممتاز في هذه المنطقة السياحية هو نقطة انطلاق جيدة لنزهاتك في هذه المدينة المذهلة. يقع الفندق على بعد من مركز المدينة، ويؤمن الوصول إلى أهم مراكز المدينة. يضفي محيط الفندق اللطيف وقربه من أكثر المعالم السياحية جذبًا سحرًا خاصًا على هذا الفندق. 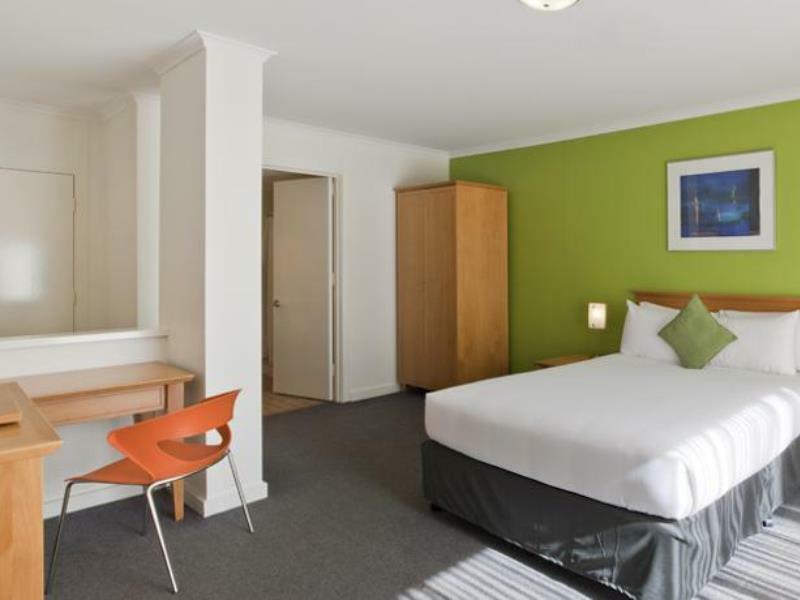 يعمل Hotel ibis Styles Alice Springs Oasis على ضمان إقامة مريحة لضيوفه من خلال خدماته الممتازة وحسن ضيافته. لضمان راحة ضيوفه، يقدم الفندق الخدمات التالية: مرافق مخصصة لذوي الاحتياجات الخاصة, تسجيل وصول/خروج سريع, تخزين الأمتعة, خدمة الغرف, رعاية أطفال . تتضمن كل غرف النزلاء وسائل الراحة والتسلية المصممة خصيصاً لضمان الراحة القصوى للضيوف. كما أن مجموعة الخدمات الواسعة الموجودة في الفندق لضمان راحتك تترك لك الكثير من الخيارات لقضاء وقتك أثناء فترة إقامتك. 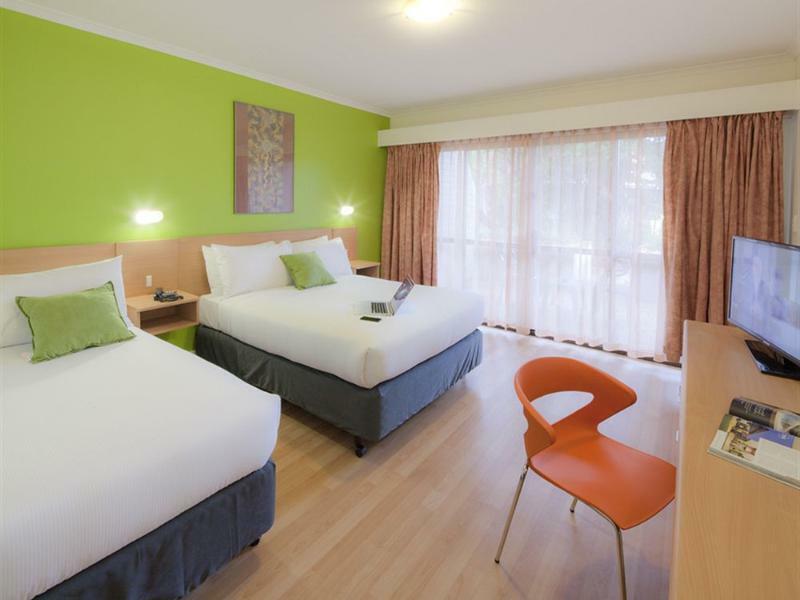 إن Hotel ibis Styles Alice Springs Oasis هو خيارك لخدمة الفنادق الراقية في المدينة. We wanted a down-town hotel, close to the town. Initially concerned about decor etc we found the hotel friendly, welcoming and a short walk to the centre of AS. Brilliant full English Breakfast, and good meals in the evening when needed. Lively clients and a welcoming and attentive staff. Very basic and rundown accomodation. Cleanliness was poor. Pubic hair and shaving remnants left in the shower. Toilet corroded, crumbs and other particles on cupboard tops etc. glasses were sticky and stuck to the fridge surface. Outside of buildings and pool area very rundown. Not at all like it looks in the photos. Super friendly staff when I arrived midday. Room was clean and warm. Sadly the walls seem a bit thin and the design of the units makes for a noisy stay. But if you're after standard and clean with a restaurant this is good. We're glad to hear you enjoyed your time! The beds were hard and on wheels so kept rolling around th room,the car park wasn’t exactly secure,lots of locals roaming through the car park,walls very thin could hear upstairs banging and crashing around the room all night. We apologise that you didn't enjoy your stay. Poor hygiene..not clean..toilet and shower is ugly.. Stayed here for 1 night because I had a long stop over at the airport. Nice room, comfortable bed, friendly staff. Great breakfast -totally recommend. Good clean rooms. A pleasant unwind while I was on a recent conference. Value for money, and rooms have space. Do not mistake the fact this is like a big motel complex, but it is still great value. Bathrooms are a bit dated, but adequate. Thank you for this review. Apologies we did not respond previous, it appears we missed your comment. Their site photos must be more than 8 years ago, the rooms is totally not like in photos, I felt I was Back to 70s' when I went in to the room. Dead Bugs on the bed (3 out of 4 rooms got that) 1 room with not cold air con., we found out after we came back from dinner around 9pm, we try to call the counter which no one answer then went down to found out the office close at 8pm and no one can help us until next morning. One downside is that there is no lift. It's total not like in photo and don't got any services after 8pm. Will never rent hotel with this brand! Reception closes at 8pm, however there is an emergency after hours phone. Excellent, Staff were friendly and it is good proximity of everything. Good selection for breakfast, and rooms were clean and comfortable. A clean, well maintained, basic room. Staff seemed to enjoy chatting to the guests. I'd stay there again. location, value for money & friendly staff.